Write to me and let’s schedule some time to talk about how I can best be of service to you. And if you have any questions about these services, please feel free to get in touch with me. I’m happy to answer any questions you may have. If you feel a strong resonance with me and desire to work with me, and you are financially challenged, please let me know, as I do try to find a way to work with everyone who seeks my services and is also serious about their spiritual growth, healing, and evolution. Contact me and let’s work it out together. It also tells us where you are likely to get “hung-up” and “stalled” in your effort to live life to the fullest. It shows us your karmic predicament and your soul’s evolutionary intent. This is powerful stuff! I described a bit about this reading above. This is where we look at the main life territories through which your hero’s journey will unfold, with all of its mythologies, shadows, and gifts. In addition to the basic pattern and tone of your life map, we will also look at the “chart behind the natal chart” in order to gain profound insight into the basic karmic story your soul brought into this lifetime. In a nutshell, we will acknowledge your weaknesses and challenges, give you “medicine” to help you heal from the past, reinforce and validate your strengths and gifts, empower your most fulfilling directions and celebrate your unique potential. From the moment you are born the unique mandala of forces symbolized by your natal chart begin to unfold and evolve. Transit charts help us to glean your current astrological “weather forecast,” while progression charts give insight into where you are in the more intimate unfolding of your own personal evolutionary intent. At any given moment, we can look at these transit and progression charts to understand exactly which evolutionary questions, themes, challenges, and opportunities are being highlighted for you and in which areas of life: personal style, education and learning, destiny, career, health/vitality, emotional fulfillment and healing, relationships, home-life, day-to-day work and more. People always ask me who they should date in terms of sun-sign/zodiac sign compatibility. I always tell them that the sign the sun is in in the natal chart is a very central and important piece of the puzzle in understanding who someone is, what their potential shadow behavior can look like, what their potential virtuous behavior can look like and the basic quality of chemistry between that person and a friend, family member, co-worker, lover or mate. Then, I quickly add that the sun is only one factor in the natal chart! You have 8 other planets (plus the moon, which makes 9) in one of the twelve signs, and all of these heavenly bodies are in one of the twelve houses of the birth-chart. The natal chart is very complex…just like a human being! To give powerful insight into any relationship’s chemistry and compatibility, I have to see both individual’s natal charts. And then I always finish my answer by saying that no matter the quality of the chemistry and compatibility (soft and easy, hard and challenging, or a mix of both…which is usually the case) between two people, anyone can be with anyone and have a successful and beautiful relationship. There are many factors to success in a relationship, but the most critical one is the consciousness of the two people involved. No matter how wonderful and easy the astrological relationship chemistry, no matter how much history and love the two peoples’ souls share, if one person is relating from an unconscious place of reaction, defense, and self-protection, it can destroy any relationship. On the flip side, no matter how challenging and hard the relationship chemistry, no matter how little history and love the two peoples’ souls share, if one and especially both people are relating from a conscious place of responsibility, openness, and vulnerability, then any relationship can work and be successful. With this reading, I look at each individual’s natal chart and get a sense of who they are as individuals and how they as individuals challenge each other or harmonize with each other. Then, I look at their charts in relation to each other and see what the more specific chemistry is between them. Finally, as I present all the information and insight, I emphasize where more awareness if likely needed in the relationship to keep shadow expressions from destroying it and where more emphasis on the strengths of the relationship can help to balance the challenges and amplify the beauty and fulfillment in the relationship. And that’s about it in a nutshell! Sit down with me, and let’s have a cup of tea while we honor one of the most profound and mysterious realities of human life. During your session, you lie comfortably on a massage table, while Reiki (spiritual life-force energy) is activated by touch to flow through your being, as my hands are placed gently on or near your body (or symbolically placed on or near your body in a distance healing session). This is often experienced as a “cleansing” or “re-balancing” of your heart, mind, and body. Ultimately, this strengthened flow of life-force through your being encourages deep healing right where you are most ripe and ready for change and forward evolution. For your first session with me, I do recommend 90-minutes, as there is an initial intake and “getting to know you” process that can require a bit more time than in later sessions, and this would ensure that you have more time for the table/body-work portion of your first session. This is where everyone’s Reiki System journey begins. It is a two-day, experiential exploration of Reiki or spiritual life-force. You will receive four initiations that will help you deepen your spiritual connection while strengthening the flow of life-force through you. You will also learn a simple meditation for grounding and presence, as well as a hands-on healing protocol for your own spiritual healing, self-care practice and a protocol to support the spiritual growth and healing of others. This class teaches you the foundational teachings and practices of the Reiki System and gives you everything you need to create a solid spiritual healing practice that will begin showing benefits of more peace, freedom, and fulfillment from the very beginning and continue to nurture your growth for the rest of your life. 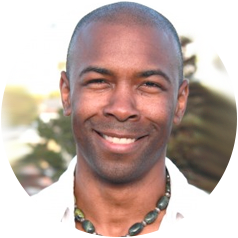 If you are looking for a “no-nonsense” yet compassionate teacher and guide who can give you a broader perspective on your ego, your soul, your relationships, your life’s journey and more, without ever shaming, scolding or judging you, then Michael may be a teacher for you. That being said, Michael never asks that you blindly accept what they say, for they could be incorrect in their interpretation of your Akashic records, and/or what comes through could be “bad” channeling. Built into their teaching is an emphasis on study, as well as questioning and validating any information given. Growth and comprehension come from work with Michael over time, as you validate their teaching for yourself and apply what you have learned within the various contexts of your life. Your 3 Primary Needs Report from Michaels’ teaching on the 9 needs (security, adventure, freedom, power, exchange, expansion, communion, acceptance, expression), with comments. Michael Live Chat is a chat with Michael in the website’s private chat room (we can also use Skype or phone when necessary). During your chat, you can ask them anything you like and get a real-time response. Channeling is a delicate, sensitive and not-so-well-understood process. No channel is 100% accurate, and channels have “off” days. Do not blindly accept any information given to you. Question and validate the information for yourself, as this supports true comprehension. When I do these sessions, I resonate with your energy field and connect with you soul-to-soul. From there, I receive impressions, feelings, images, sounds and/or “knowing” that I interpret in relation to your questions. My style is down-to-Earth and candid. Depending on your preference and the creative flow of the moment, I may or may not use tarot cards during your session. As I don’t predict the future (though I may give you probabilities based on my current interpretation of the way the future seems to be unfolding), you don’t have to worry about having a “bad” reading!